please fill out our questionnaire and we will be in touch. Here are listed all Full Throttle's litters. 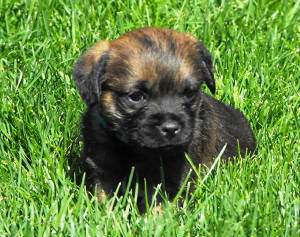 Click "See Puppies" to see the pedigree and photos of the litter. CH Full Throttle's Justin Time ! CH Full Throttle's Wicked Clever! GCH Full Throttle's She Made Her Point ! CH Full Throttles Sudden Impact! GCH Full Throttle's Sudden Impact At Snofox ! GCH Full Throttle's Serious BIS-Ness! CH Wooly Bully Otterly Full Throttle! CH Full Throttle's Tribute To Otley! GCHB Full Throttle's Wee Drop Of Mischief O'Kilcreggan! GCH Full Throttle's Wicked Hooligan! CH Full Throttle's She Made Her Point ! RBIS GCH Full Throttle's BIS-cuit Eater ! GCH Full Throttle's Wee Drop Of Mischief O Kilcreggan ! GCH Full Throttle's It's In The Bag ! Ch. Full Throttle's Deal Or No Deal ! Please answer our questionnaire to be considered for a puppy. If you may be interested in reserving a puppy from our next litter please answer our questionnaire & include your name, email address and phone number. Our babies are born in our Dining room and live with us and our other furry family members. Our puppies will make great pets and/or performance dogs as they have a ton of energy and personality. Puppies will be sold only with a show or Pet(spay/neuter) contract.